The phone rang at my desk. It was Dr. Sullenberger. “Mike, you should come upstairs. There is a patient I want you to meet, David Gray. He has a story you need to hear.” I grabbed my recorder and walked upstairs to the 4th floor of our Corporate Woods location, unsure what to expect. This was the first time I had been called to meet a patient. Dr. Sullenberger introduced me to David Gray, a normal looking man wearing a hoodie sweatshirt and blue jeans. He smiled, we sat down, and David started opening up. He shared his remarkable survival story with the passion that makes you sit up and take notice. It was at that point, that I realized that David is going on his ninth year of telling this story. His journey continued after getting an Implantable Cardioverter Defibrillator (ICD). He blinked a few times, and the smile that was on his face cleared as a more serious tone came over his demeanor. He mentally focused as he shared this part of his story. Five years after receiving his implant, David’s ICD saved his life. “I had just gotten done mowing the lawn,” David began. He went to sit in his chair in the garage to watch TV to cool off. “I said to my wife, ‘Hey, do you want anything from Stewart’s? I’m going to play the Lotto.” He looked right at me and stated the exact time and date; it was 5:30 pm on May the 30th. “She was like, ‘Naw, I don’t want anything.’ I told her, ‘Don’t leave, something is wrong.’ Next thing I remember, she’s in my ear saying, ‘I’m calling 911! Are you okay?” David recalls getting up and sitting in the chair but doesn’t remember falling to his garage floor, his forehead narrowly missing the snowblower parked nearby. His defibrillator saved his life. He sat in the chair in his garage for 20 minutes before going to the store. That’s when he got a call. “They told me that I was in full cardiac arrest and needed to come in right now. That started my summer off,” said David. “Dr. Sullenberger brought me in July of 2015 and said we needed to have a family meeting. I brought my wife and two kids in, I remember saying, ‘Really? I need a heart transplant evaluation! Are you serious?’ I was perfectly healthy my whole life. I thought I was just getting old.” David’s heart condition was degrading. A heart transplant was needed to save his life. We talked about what happens after you get this kind of diagnosis. How mind-boggling the news, terminology, and explanation can all be. The worst part is when you get home with a head full of questions left unanswered, so you get on the computer. “I googled heart transplant surgery — biggest mistake in my life, I didn’t need to know that. And I googled organ donation,” he said. David rattled off facts so matter of factly, that after speaking with him, I realized was part of his impeccable memory recall. When it comes to organ donation in the United States, “New York is number 50 in the country. We’re at about 25% of per capita registered, we’re on the bottom of the pile. A New Yorker dies every 18 hours waiting for a transplant,” David stated. At the end of January 2016, an Intra Aortic Balloon Pump was inserted through Dave’s shoulder, another temporary solution until his open-heart surgery to implant a left ventricular assist device (LVAD). “I smiled, I stayed strong during the entire process,” he recalls. 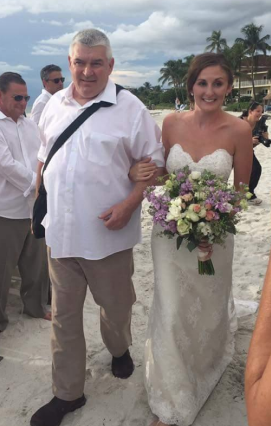 The implant of an artificial heart made it possible for David walk his daughter down the aisle for her wedding, his major goal for that summer. He was able to return home, live a “normal life”, get back to the things that kept him busy, and most importantly, be with his family. Now David waited for a heart donor. Four months later, he got a phone call in late August that changed his life: a heart had been found for him. The next day he underwent surgery and on September 14th, he was discharged from the Westchester Medical Hospital. His body had accepted the new heart. Today, David Gray lives like most retirees in the Capital Region. He keeps busy with his projects. David makes beer, cans jam and tends to his five beehives. “This year I have 42 pounds of honey!” he exclaimed. He fishes in the summer and hunts in the fall. But there is one thing that makes David quite unique to men his age: he’s survived heart failure, open-heart surgery, and in his mid-50’s, David is a patient advocate. “I have always helped people, it’s just different now,” David said. He started small, working with support groups online and in person. He volunteers his time with several organ donor groups, New York State Donate Life, the Center for Donation and Transplant at Albany Med, the American Heart Association, “but my number one priority is with Westchester Medical Hospital”, he said, where he visits on a weekly basis. “My new life is that I visit patients. 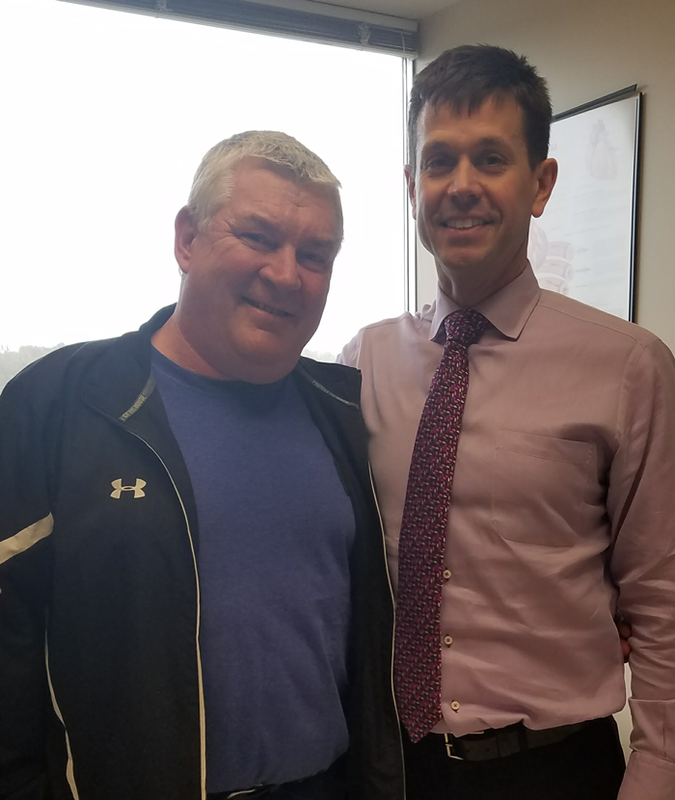 I talk with patients who come through from Capital Cardiology, I spend twelve hours a day down there.” This year he started visiting area high school students, sharing his story with young people. In a 2012 study, researchers found that the average life expectancy in heart transplant recipients was a little over 9 years, although researchers found a “relatively high quality of life even 10 years after surgery.” For David Gray, it’s obvious to anyone who speaks or meets with him for any amount of time that he is making the most of his new heart. He writes to politicians, celebrities and speaks to anyone who will listen about the need for organ donors. Personally, he has thanked everyone involved with his heart transplant, from the first nurse who saw him at the beginning of his diagnosis to the mother of his heart donor. An estimated 2,000 donor hearts become available in the United States each year. There is a tremendous need for donors across the country. Approximately 3,000 people are on a heart transplant waiting list at any given time, according to the University of Michigan. “We need more heroes, that’s all I can say,” David said. Anyone 16 years old or older can enroll in the New York State Donate Life Registry. Learn more by clicking here.